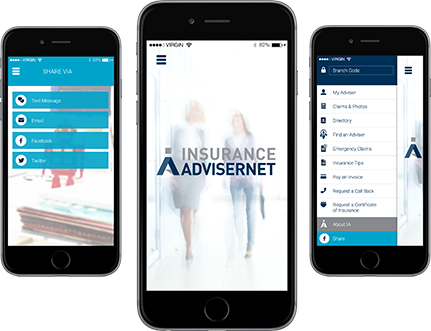 D R Loades Enterprises is an Authorised Representative of Insurance Advisernet, one of Australasia's biggest General Insurance Brokers. We have over 20 years insurance experience and knowledge of the insurance industry which allows us to specialise in risk advice, claims management, insurance advice, risk services and business valuations. Our clients are located Australia wide and our experience in dealing with a broad customer base enables us to provide our clients with access to every major insurer in Australia and New Zealand including access to major insurers overseas, if required. We believe in delivering the most appropriate advice, the most efficient systems and the right insurance solutions for our clients, all built upon four core business pillars Trust, Advice, Choice and Value. Darren Loades is the Managing Director of “D R Loades Enterprises Pty Ltd” a licensed Corporate Authorised Representative of Insurance Advisernet (IA) since their foundation in 1996, & was recently awarded “Platinum Practice” status within the IA Group. Darren has 30 years’ experience as an operating Insurance Broker in the Gold Coast region, with a vast clientele ranging from small business operators to national groups. With 10 years’ experience in the Insurance Broking Industry Jessica is equipped to handle a vast variety of commercial and domestic clients & policies. Jessica received ‘Student of Month Award’ for her high achievements whilst completing her Diploma of Insurance Broking through National Insurance Brokers Association (NIBA). Prompt and timely servicing of your account to ensure you are adequately informed of issues that may affect your business. Provide advice to ensure you have received your full entitlements. Professional Indemnity Insurance tailored for the Finance & Mortgage Broking Industry – appointed as the acting Insurance Broker to the Finance Brokers Association of Australia Ltd (FBAA) since 2000. Customised Business Packages specifically for Tobacconist Retailers. STRENGTH UNDER THE INSURANCE ADVISERNET BANNER. D R Loades Enterprises Pty Ltd is a Corporate Authorised Representative of Insurance Advisernet (IA) founded in 1996. IA are a national organisation in both Australia and New Zealand and this allows D R Loades Enterprises Pty Ltd the benefit of maintaining their local presence whilst being able to be part of a national group for products and services needed by their customers in todays complex business world. Click your preferred provider to get the app! Prefer us to contact you? Not a problem! Thank you for contacting D R Loades Enterprises Pty Ltd! Your message has been sent successfully. One of our skilled Advisers will be in touch with you shortly. For over 25 years Darren Loades of Insurance Advisernet Australia Pty Ltd has been our insurance broker arranging our insurance for our fleet of cranes. He has been an integral part of our business on the Gold Coast. He not only saves us the time and money to search the various insurance companies for the better priced and better quality insurer but advises us of the benefits of moving insurers or staying where we are, and we have come to trust his advice. Throughout those years, we have had some claims and he has totally looked after each claim for us. Insurance Advisernet not only organise the claim form and forward it onto the insurer; but follow through and work for you, to get the matter resolved. Once we have passed the claim onto Insurance Advisernet, we have had the feeling of the pressure of the claim being taken off our shoulders, knowing it will be looked after by Darren and his team, to our satisfaction. Would we recommend them, without doubt. Darren Loades & his team at Insurance Advisernet (IA) have been our brokers since we kicked off our business in 2003. In that time, they have been there for us in good times & bad, especially recently when we had a large rollover claim on a newly acquired vehicle - their assistance during this time in securing a very fair settlement on our behalf was invaluable. We are always inundated with offers from other brokers &/or insurers promising us a "substantial saving" on what we're currently paying, but for us it's not just about price, it's about being able to trust & rely on the quality of service & advice being provided, & as far as we're concerned IA are the best in the business! FBAA is the peak industry body nationally to finance brokers in Australia, and has been honoured to have IAA as its preferred Professional Indemnity provider to our members for over 15 years. Their product, service and support is exemplary and in my opinion they provide the best PI coverage in the finance broker market place knowing the cheapest premium doesn't make it the best, therefore a comprehensive full-encompassing policy cannot be mitigated for price. Members have commented on the high level of professionalism and depth of experience and knowledge provided by IAA and the extent of standard policy inclusions. See how simple insurance can be. While our service area is generally local based, we work with clients Australia-wide. Contact us today for your insurance needs. D R Loades Enterprises Pty Ltd is a corporate authorised representative of insurance AdviserNet Australia Pty Limited. Corporate authorised representative number 321052.